The main political party that will oppose Thailand's ruling military government in elections planned for early next year has voted in its new leadership. 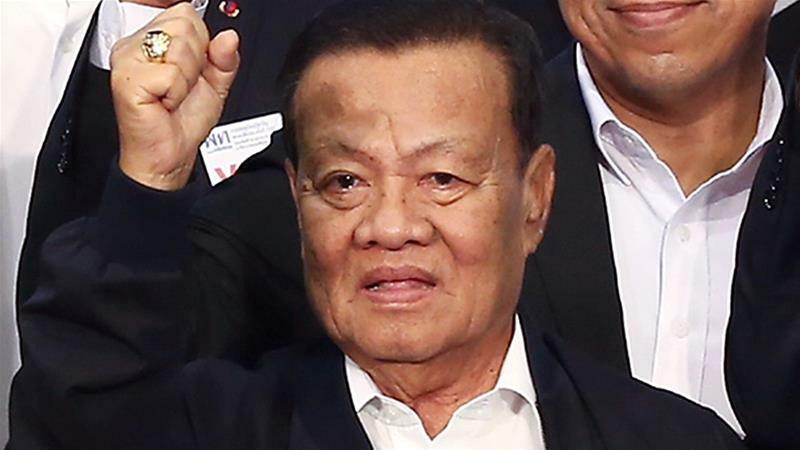 Pheu Thai on Sunday named 86-year-old senior party member Viroj Pao-in, a police lieutenant general, as its official leader, while Putham Vechayaychai kept his role as secretary-general. "We are now getting ready for the elections," Viroj told reporters. 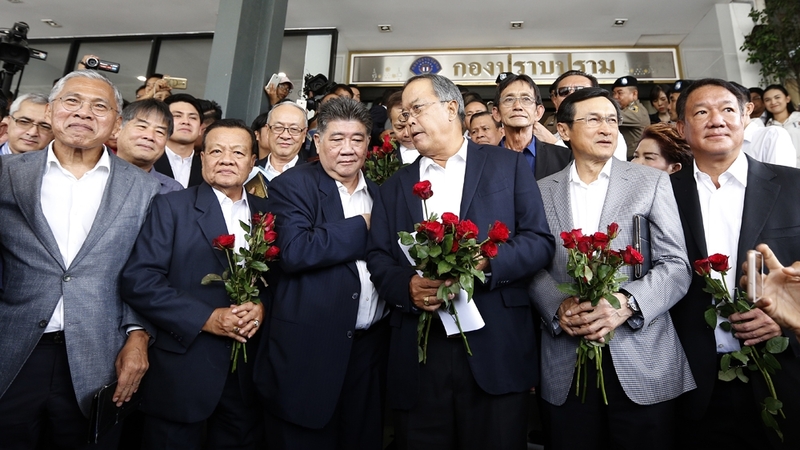 It was the first time the party had officially convened with all its members since Thailand's military overthrew a Pheu Thai-led government from office in a 2014 coup and introduced a ban on political gatherings of more than five people. The ban was partially lifted last month to allow political parties to conduct basic functions. Pheu Thai, under different name variations, has won every election since it was founded in 1998 by telecoms tycoon Thaksin Shinawatra. Its administrations have since been overthrown twice by military coups. The first one was in 2006, when Thaksin was overthrown as prime minister, and the second in May 2014, when the current military government removed his sister Yingluck Shinawatra from office after sometimes violent political demonstrations on the streets of the capital, Bangkok. Thaksin's landslide election victories sparked political divisions in Thai society pitting his supporters against more conservative Thais who support the country's traditional powers, which include the military and the monarchy. The ruling military government has been criticised for introducing election laws that weaken democratic institutions and give itself an advantage in the next polls, which its leader, Prime Minister Prayuth Chan-ocha, is expected to contest. Pheu Thai also fears it could face legal harassment if the government finds it guilty of violating a law that forbids political parties to be run by an outsider - Pheu Thai is still heavily linked to Thaksin, who is alleged to be supervising the party from overseas, where he lives in self-imposed exile. The government has not announced an official date for the elections, though it has said they are tentatively scheduled for February 24. Sudarat Keyuraphan, a cofounder of Thaksin's political machine, was named as Pheu Thai's chief strategist on Sunday and will be responsible for choosing which candidates the party will field in the elections. When asked to comment over rumours that she would be the party's choice for prime minster, Sudarat said it was not yet time for the party to nominate a prime ministerial candidate. She said she is confident that Pheu Thai will come out victorious in the elections because its policies reflect people's needs. "People vote for us not because of the party's name or how we look like but ... because we can fix their problems," Sudarat said. "So we are confident about the success in the upcoming elections." Critics of Pheu Thai have accused the party of forming populist policies that sound appealing but lack practicality.